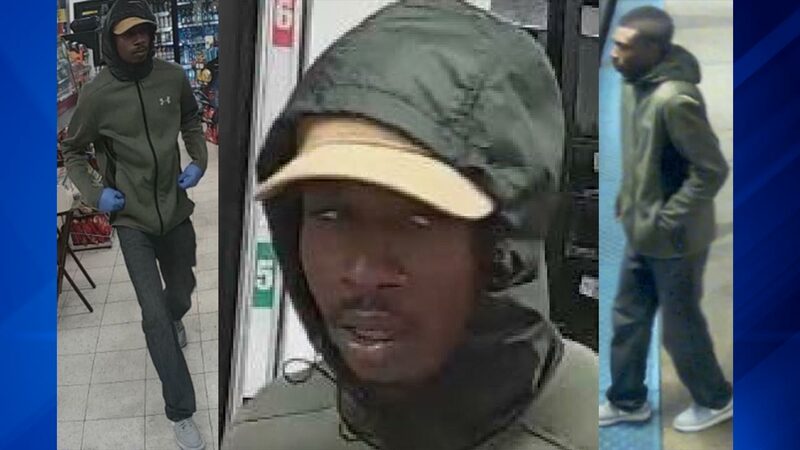 CHICAGO (WLS) -- A man robbed a 7-Eleven on the Near West Side at gunpoint Thursday night, Chicago police said. The suspect entered the store at 627 W. Jackson Boulevard and pulled out a semi-automatic handgun at about 11:30 p.m., police said. He announced a robbery and took the store clerk to the rear of the store and bound his hands, police said. The suspect fled on foot to the Blue Line station at Clinton Street. Police describe the suspect as a Black man, between 20 and 35 years old, approximately 6 feet tall and between 140 and 165 pounds. He was wearing a hat, green Under Armour jacket with a hood, blue jeans and light gray gym shoes. He was wearing blue surgical gloves when he entered the 7-Eleven, police said. Police have released surveillance images of the suspect. Anyone with information is asked to contact Area Central Detectives at (312) 747-8380.